Did you miss Day Break on ABC last night? If so, you’re certainly not alone. We’ve been innundated with emails and traffic from people looking for details on what’s happened to the Taye Diggs series. For those who don’t know, Day Break has been pulled from primetime by ABC after just six episodes due to low ratings. The on-going storyline is hardly resolved with seven unaired episodes left in the season. ABC has said they will post episodes (one per week) on their website but many people don’t have a powerful enough computer, can’t access the Internet long enough to watch, don’t have a fast Internet connection or, for many other reasons, simply can’t view the episodes. In short, millions of people who could have seen future episodes on free network television, will never see this excellent series — and we think the decision-makers should know. So, we’re inviting you to sign a petition that asks the network and the production companies (Gross Entertainment and Touchstone Television) to release the series so that more people can see it — to return the series to network TV or at the least, to release it on DVD. With enough interest, there could even be a second season or a movie. Let your friends, neighbors and co-workers know — anyone who misses Day Break — where they can find this petition. Naturally, the more names are collected, the better. To sign the petition, fill out the “comments” box below. You only need to leave your name, city and state (or country). You may leave comments if you wish but please try to keep them civil. We’ll be monitoring the petition to ensure that it stays clean of spam or inappropriate comments. Let’s save Day Break! Please note, due to the overwhelming response, 5,000 comments have been archived (for bandwidth issues). We, the undersigned have enjoyed much of your programming, particularly the outstanding Day Break series. 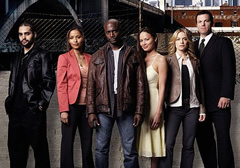 We have enjoyed the Taye Diggs series each week and are dismayed that it has been pulled from the primetime schedule. We believe that the ratings have not accurately shown the show’s popularity for success. After just six episodes, we believe that Day Break was not given enough time to fully establish a potentially huge audience. Please remember that many very popular shows like MASH, 24 and Cheers were not immediate hits. We understand that ABC is posting the remaining episodes online but, for a variety of reasons, millions of people are not able to see these episodes — resulting in lost viewership for you and disappointment and frustration for them. We respectfully request that you return Day Break to network television and to consider continuing production of further episodes or even a film. At the very least, we ask that you make the existing episodes available to a wider audience via a DVD release. Thank you in advance for your attention and consideration. Day Break: Taye Diggs Series Finally Comes to DVD! Day Break: Is the Taye Diggs Series History? Bring back daybreak, I only just caught up with the first season. BRING BACK “DAY BREAK” ! Save daybreak.I really enjoyed the show I have got to get the DVD. Just watched this show on DVD and I though it was fantastic! What a shame there isn’t more. I would like to see this serie continued. or at least some sort of conclusion. Thank you all for producing this. I do hope it’s renewed for a second season after they’ve showed them again (saw comercials about this when I was in the US earlier this summer). It’s one of the best shows I’ve seen on TV. From a fan in Sweden. Daybreak is a good show. It had me waiting on edge each, and every week. Please bring it back for more seasons. Just when I found something that I liked on t.v….they pulled it out. I am so disappointed. What are you doing abc? I guess I will have to wait on ER to come back. Day Break was the best show on tv and it need to be a second because of the way it ended and I didn’t want the show to come to the last episode because I knew I wouldn’t be able to see another new episode. ABC need to stop keeping all the shows that no one wants to see and keep shows like Day Break and cancel the other one’s. this can not be real. One of the best series ever to be stoped, i am sure that this is something else… This serial is the best, it has 6.5 mil viewers what more do they want ? Just some other company contact the script writer and actors and do another serial with diffrent name like When Day Breaks – it will be huge and make them a lot of money and a lot of happy people. And what statistics say that the serial is low on support ? That is not true. This is one of the best shows! I can’t believe it didn’t get a Second season! Shows that are awful have been going on for years. This show needs to continue! PLEASE!